It has been requested that I share the stories that I have worked on for this competition. I would love to share my work with you. I have decided to wait until my fate in this competition has been determined. I don’t want to jinx it. I can’t believe I have made it this far. This next round of the competition will determine whether I will move on to the final round. I have learned so much with each challenge and the feedback that I have gotten from the judges. I can see the improvement in my writing. And though I would be honored to win it has been more than worthwhile to participate. The success that I have had has also validated me. It had confirmed for me that I really am a writer and I am headed in the right direction, even if I can’t see far ahead on the path. One thing that I discovered with this competition was an editor. And I do not mean myself. It is very hard to come up with a brand new story, develop it, and polish it off in 48 hours. In fact I would say it is nearly impossible. Whenever I have needed someone to read my stories I have reached out to family and friends. They are all wonderful and eager to read my stories. For the most part they give me some good comments, but often what they say is “Oh I like that”. I love positive feedback. It makes me feel so good. But it doesn’t force me to grow. I discovered that my cousin, Leslie, is an amazing editor. She would take my story with a 24 hour deadline and help me turn it into a finished product. She could read my stories and understand what it was I was trying to accomplish and she could help get me to wherever that was. That is exactly what you want your editor to do. You don’t want someone to come in and make your story theirs and change your voice or change what you wanted. The only bad news for her is that she has become my editor for life…whether she knows it now or not. Well my time as a writer in this competition has come to an end. The NYC Midnight group has notified us that the scores for the last challenge were posted. With excitement and trepidation I clicked onto the site to see who had been chosen as the top five. My heart sank a little when my name was no where to be found on the list. I even read through the list a few times to be certain. To say the least I was disappointed. I had been eager to tackle another challenge. But at the same time I am proud of myself. I made it further than I thought I would and in the course of this competition my writing has improved. That is an excellent accomplishment, especially for someone who has not previously participated in any competition. This will certainly not be the last competition I partake in. 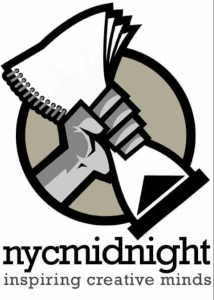 In fact I am already considering the NYC Midnight Short Story Competition. Because why not? I have published the stories I wrote during this competition to this page as well. I have decided to leave them as they are when they were submitted so that you can see what the judges saw. I’d always love feedback from my readers. I do plan to continue to work on these stories, because you never know what they could become. Frankly I had fun writing them.